Why is every note A? Everybody knows the vuvuzela plays Bb. That's exactly why it's an A. 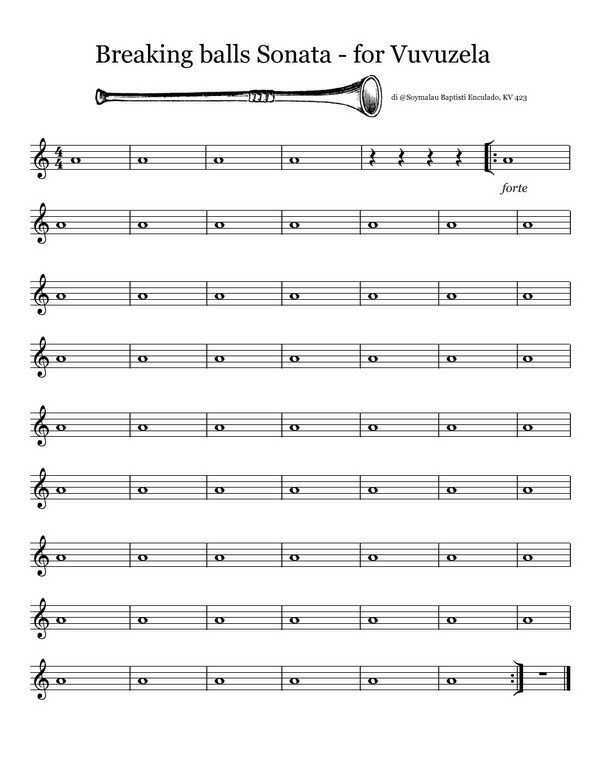 Nothing proves your skill with the vuvuzela like bending the pitch down an entire half-step and holding it at forte for 114 measures straight without losing tonal quality or pulling the pitch back up.